The Netball Association of Ghana (NAG) would host their Nigerian counterparts in an international friendly match on Saturday, March 17, 2018, at the Accra Sports Stadium. The friendly match forms part of activities to commemorate Ghana’s celebration of her 61st independence anniversary. NAG President, Rev Emmanuel Nikoi said the game is also a return leg of a similar match played in October last year to mark Nigeria’s independence day. He said Ghana won the first leg 44-16 and hopes to repeat a similar score line so as to affirm their authority over the Nigerians, who are expected to arrive on Friday, March 16, 2018. Rev Nikoi said his federation would also organise the maiden Aboakyir Netball Festival at Winneba on May 2, 2018, and later move to Ho for the Keep Fit Netball Festival in July. 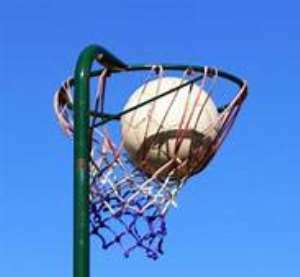 Ghana netball is not ranked in the current world ranking of netball by the International Netball Federation, but the association is hoping that after participating in some INF recognised championships, they will bounce back to the world ladder. The president mentioned that Ghana would participate in the Africa seniors’ netball championship, to be held in August at Lusaka, Zambia. He said the championship is a ranking tournament and serves as the qualification to the World seniors’ netball championship to be held next year. There are six Africa countries in the ranking: South Africa (5th), Malawi (6th), Uganda (13th), Zambia (15th), Zimbabwe (17th) and Botswana (18th).